The Reverse Beacon Network is a project that monitors the amateur radio bands by using volunteer stations to continuously and autonomously collect data on what/when stations are being received, and how good the signal is. The data is made public on the internet and this allows amateur radio operators to easily determine overall propagation conditions. It is currently working mostly with CW (morse code) stations, and mostly on HF, although it is expanding to VHF+ as explained below. During October, John Ackermann (N8UR) did a talk at the "Microwave Update 2018" conference held in Dayton, Ohio. His talk was about setting up a VHF+ reverse beacon network monitoring station, using multiple RTL-SDR dongles for monitoring. 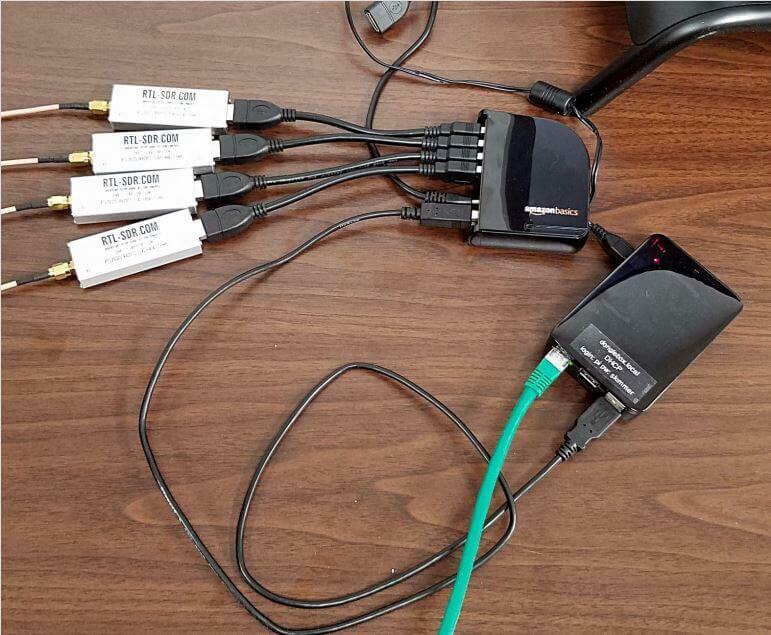 The RTL-SDR dongles run on a Raspberry Pi which runs the rtl_hpsdr software. This allows multiple RTL-SDR dongles to emulate a multi-band HPSDR receiver over Ethernet. They can then be accessed on a PC by the CW Skimmer program which decodes the received CW signals, and then logs it online on the reverse beacon network's website. The talk slides can be found here, and the video is shown below. More talks from the conference can be found on this YouTube playlist.